Let’s face it – nobody has ever looked forward to the tiresome chore of washing windows. They are almost impossible to get clean, much less streak-free, and that’s just your indoor windows. The outside of your windows, especially in second story homes or apartments, are difficult to reach, and are best left to the professionals – or the WINBOT W830 window cleaning robot by Ecovacs Robotics. This handy window cleaning robot doesn’t just clean windows, though. Thanks to a built-in smart suction fan, the clever little gadget is able to clean dirt and grime off sliding glass windows, shower stalls and mirrors, but also scours any smooth surface, vertical or horizontal, such as marble and concrete counters and floors. 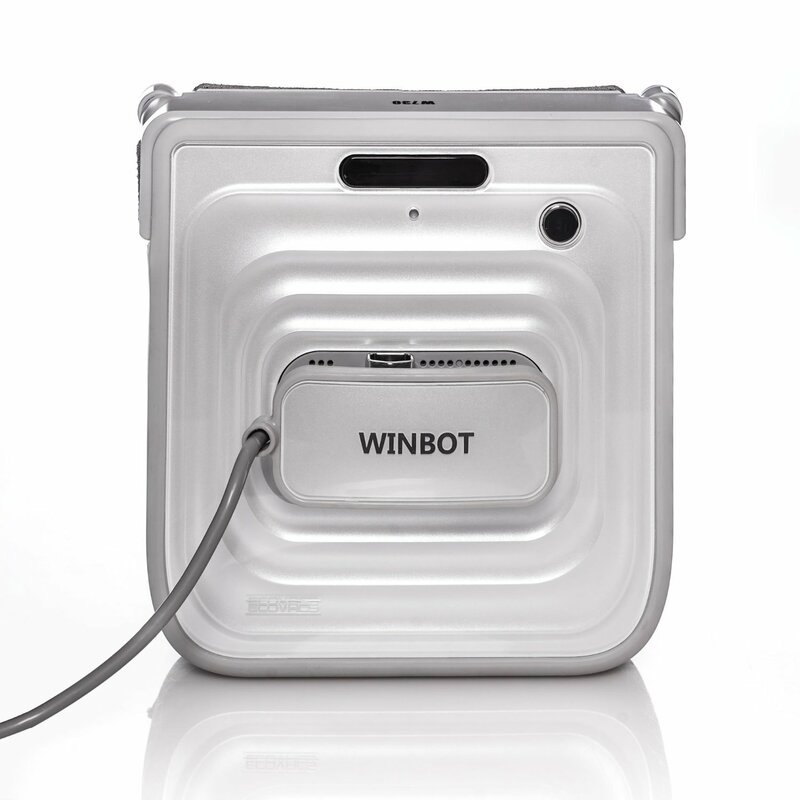 While the WINBOT W380 is small, It packs some serious technology – its Pathfinder Navigation Technology features multiple hi-tech built-in sensors to intelligently identify obstacles like window ledges and change direction to maneuver around them. They also automatically scan and calculate the size of your window and then program a customized path to maximize cleaning efficiency and speed. Don’t worry if you aren’t a tech wizard – the W830 window cleaning robot is user-friendly and simple to use. It offers one-touch operation, so all you need to do is pop the microfiber cleaning pad on the unit, spritz the pad with your cleaning solution, switch it on and place it on your window or other surface, then press start. The little robot works silently, scrubs your windows crystal clear, and then returns to where it started. While you might not enjoy dangling precariously outside a second-story window, the W830 isn’t fazed by heights. The suction fan keeps the unit securely sealed to the window surface, and it features and on-board backup battery to maintain suction if the wall outlet power fails. In addition, it sports real-time visual and audio warning signals to let you know its working status, and an attached bungee chord for extra safety. If dirty windows are the bane of your existence, sit back and enjoy the view while you let the cutting edge WINBOT W380 robot window cleaner do the dirty work for you.